The interviews are still coming out of our fun convention stops, including this one with author Eric Laster. 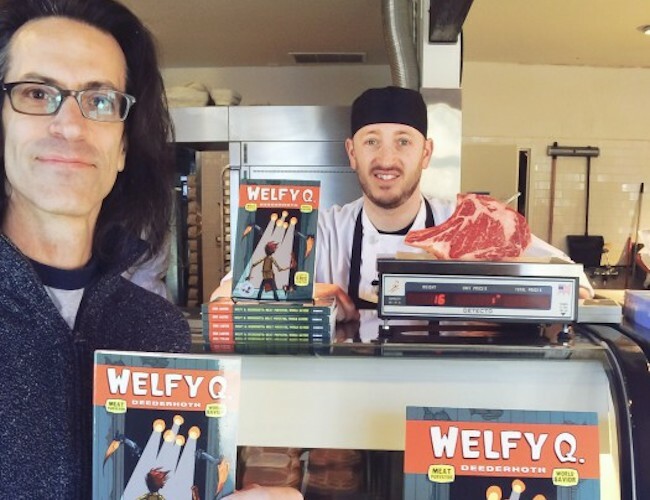 Eric Laster is responsible for Welfy Q. Deederhoth: Meat Purveyor, World Surveyor. Our own Erin Lei interviewed Laster at Denver Comic Con. The two talked about the details of his current hit book and what else he has in the works. After you listen to the interview below, pick up Welfy Q. Deederhoth on Amazon. Visit the official website at welfyqdeederhoth.com.